Home / Health and wellness / Chiropodist or Podiatrist - What is the Difference? Chiropodist or Podiatrist - What is the Difference? If you have a foot problem, you might be thinking to see a doctor for its treatment. But, you might wonder, whom to visit, a chiropodist or a podiatrist? Do you know the difference between the two? Which is a better choice for treatment of foot problems? The question is a common source of confusion among many people suffering from foot problems. However, both the chiropodists and podiatrists deal with the same type of foot injuries and deformities. Both these doctors have the same qualifications and skills. Whether you visit a podiatrist or chiropodist, you will get the same kind of treatment from both the doctors. They deal with diagnosis, assessment and treatment of the lower leg problems. Both are qualified to treat the people with leg problems due to diabetes, arthritis, sports injuries and nail surgeries. Chiropody is defined as the assessment and treatment of foot and lower leg related problems. Not only the treatment, but they also help you to prevent such issues and injuries. Actually, there is no difference between a chiropodist and a podiatrist. In some countries, the doctors dealing with foot problems are known as Chiropodists while in others as podiatrists. This is because chiropody has been given new name podiatry in the year 1993. Whether it is a podiatrist or chiropodist, the main role of both is to diagnose, treat and advise you about the common foot problems. Chiropodists and Podiatrists deal with day to day foot issues like athlete’s foot, calluses, corns, fungal and ingrown toenails. In addition, both these doctors also help people with diabetic foot ulcers and diabetic foot. People suffering from any lower leg or foot problems should visit a chiropodist or podiatrist for treatment. How do they treat the patients? Chiropodists and podiatrists treat all kinds of foot and lower leg problems. They treat you professionally and remove any type of hard skin and calluses from your feet. If you suffer from have fungal or nail infection, they effectively treat them and advise you on how to prevent such problems in future. They also advise you on what type of shoes and slippers you need to wear during the period of treatment. In case you have high arches in your feet or the dimensions of arches are different in both feet, the physician may advise you to wear custom foot orthotics while walking. If the problem is severe, the doctor may ask you to avoid high impact activities like jogging, or running. Foot orthotics are like insoles that you need to wear under the foot in the shoes. Using custom foot orthotics helps you to deal with the foot issues that are caused due to biomechanical problems. They provide cushion and support to the foot, heel and lower leg. Orthotics also helps in the treatment of lower back pain and hip problems as they are related to the alignment of feet. The orthotic devices provide support to the heel and foot arch to relieve the heel pain. They help to realign your feet and reduce the pressure on the affected areas. Wearing them also makes you feel more comfortable while standing and walking. Some orthotic devices are specially designed for sportspersons like athletes. They can use them for walking, running and jogging. Chiropodists and Podiatrists advise you about how to prevent the foot problems. Their emphasis is on treating the foot problems without the need of surgery. They try to address the lower leg problems with medicines and orthotic devices and keep the surgery as the last option. 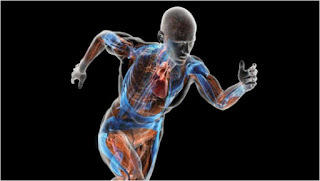 Biomechanics is the branch of science that deals with the mechanical aspects of the human body such as movements of bones, joints and muscles. If you have a problem related to the alignment of bones in the foot or lower leg, it can lead to pain in the foot, or difficulty in standing and walking. The misalignment of the foot arch can also lead to lower back pain and hip problems. If you feel any such issues with your feet, you should immediately visit a podiatrist to start with the treatment. The foot issues such as poor alignment if ignored in the beginning can lead to severe problems with the hips, knees and lower back. Sportspersons face a lot of problems related to the feet and legs as the lower body faces more strain in sports as compared to the upper body. It is common to see the sportspersons getting injuries while running, jumping and performing high impact activities. 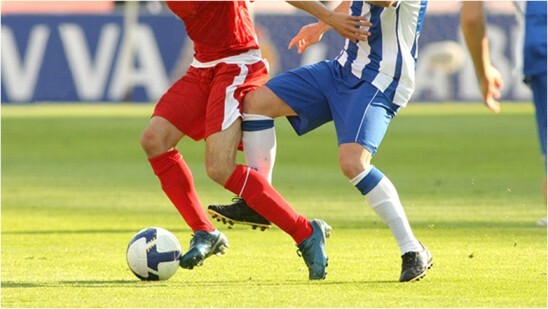 A podiatrist or chiropodist treats all types of sports-related injuries whether they are related to bones or muscles. The feet of sportspersons bear more than double the pressure as compared to ordinary people. Although they perform the stretching exercises to develop enhanced flexibility in the tendons, ligaments and joints, despite this, they are vulnerable to injuries. A podiatrist or chiropodist treats the injuries and helps them heal within a short time, so that they can participate in the upcoming tournaments. They also advise them to use the right foot orthotics to recover quickly and perform in the sports activities. Even if you are free from any foot issues, you can visit a podiatrist to remove the hard skin on your foot, clip the toenails and other everyday foot care activities. There is no harm in visiting a podiatrist for advice on prevention of foot issues and regular foot care. If you live in or around the Gold Coast, Australia, you can search online for podiatrist Gold Coast to find the foot doctors in your area. Are you still thinking about the difference between a podiatrist and chiropodist? You can visit any podiatrist or chiropodist for the treatment of lower leg injuries, foot deformities and back pain. There is no difference in the treatment offered by a podiatrist or chiropodist. Both have the same qualifications, skills and follow the same procedure for treatment. So, you can visit any of them without worrying about their speciality or the effectiveness of treatment.